Everything’s gone screwy at Tagai Academy. When the headmaster forces Minagi’s entire class to study Einstein’s theory of relativity over summer school, Minagi volunteers to go in their place. There’s just one problem: He’s never even heard of relativity before! Luckily, Minagi has the plucky Miss Uraga to teach him. 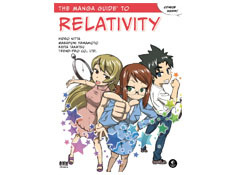 Follow along with The Manga Guide to Relativity as Minagi learns about the non-intuitive laws that shape our universe. Before you know it, you’ll master difficult concepts like inertial frames of reference, unified spacetime, and the equivalence principle. You’ll see how relativity affects modern astronomy and discover why GPS systems and other everyday technologies depend on Einstein’s extraordinary discovery. 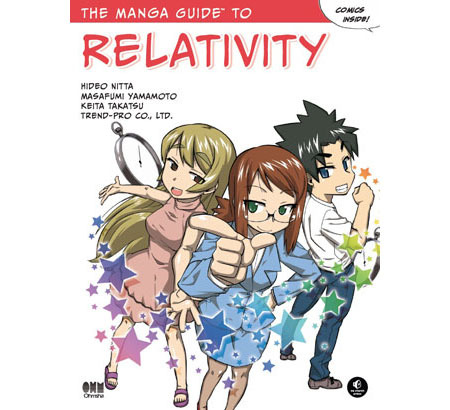 If the idea of bending space and time really warps your brain, let The Manga Guide to Relativity straighten things out.